Guanghua Market opened in 1973 under Guanghua Bridge between Bade Road and Civic Boulevard in Taipei. It was originally occupied by used book shops relocated from Guling Street and unlicensed shops moved from Bade Road. Business at the market took a while to pick up due to the limited choice of items on sale. This began to change with the arrival of antique, jade and electronic supply shops in 1979; and in the 1990s the market consolidated its reputation as the go-to place in Taipei for computer equipment and other electronic gadgets, with over a hundred shops selling these high-tech items. On January 18, 2006, Guanghua Market was relocated to a new facility at 77 Jinshan North Road. 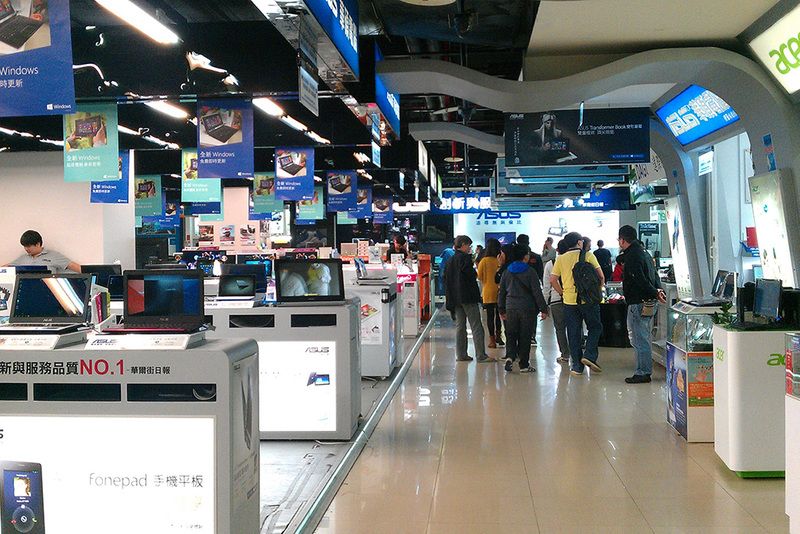 In addition to computers and other electronic peripherals, the new market sells branded sportswear and athletic gear, DVDs and CDs, posters, PC and console games, books, stereo equipment, mobile phones and more. The market is known for its wide variety, low prices and convenient comparison shopping, making it a magnet for budget-minded student shoppers. Take Taipei MRT to Zhongxiao Xinsheng Station(Exit 1), then walk about 5 mimutes.